Villa in Palanga Robertas. Zimmer. Apartments. 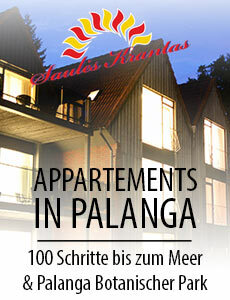 Palanga. Center. 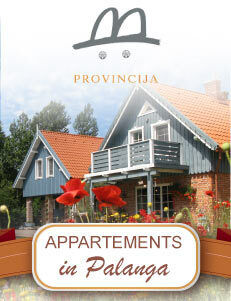 Villa "Robert’s" in Palanga is located in calm street, full of trees. Cosy and quiet neighborhood. 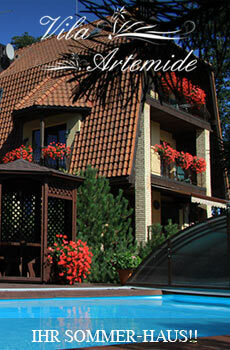 We offer homy feeling, warm service and exclusive attention and the best quality service for every guest. 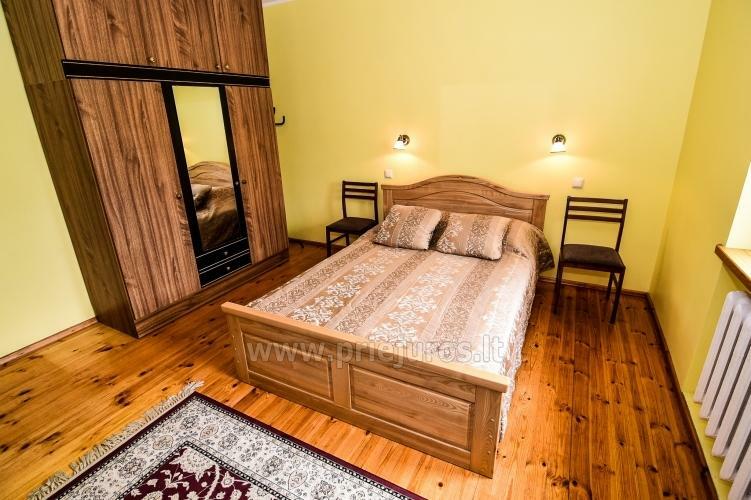 We provide comfortable stay for small groups: there are 4 two bedrooms apartments and 5 one-bedroom apartments for two, 1 economical class double room and 1 double room. 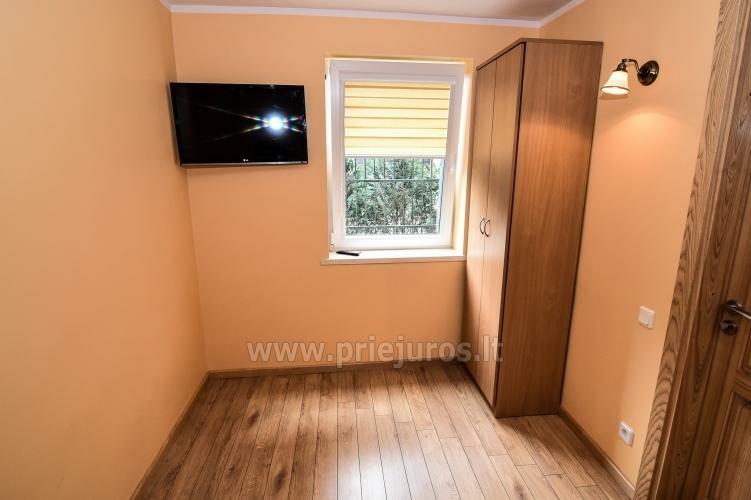 Just few minutes walk to the center of Palanga (Basanavicius street), close to popular walking paths: Botanic garden, museaum of Amber, 10 minutes walk to the sea, there is a shoping center near by. We can quarantee good conditions for your stay, calmness, rest, safety and good time during your vacation. The district belongs to blue flag beach with sunny days and clear sea. 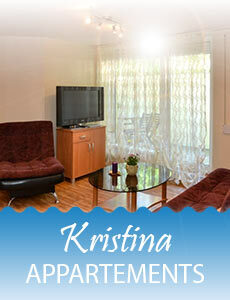 There are 12 rooms/apartments: all conveniences (WC, shower, TV, internet), kitchen, bed sheets and towels provided. 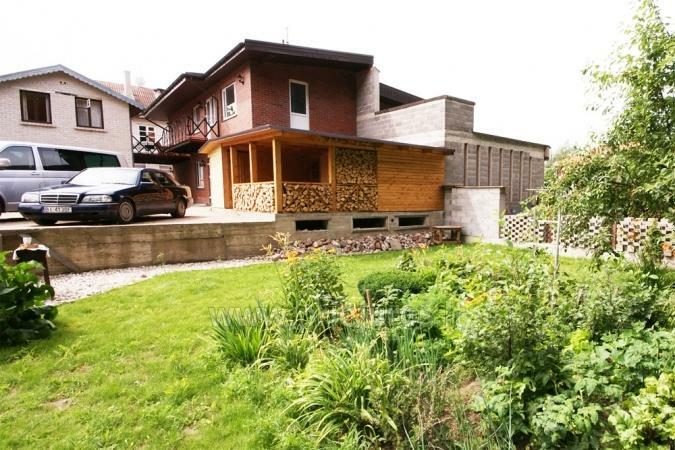 On the first floor: 1 two rooms apartment (35-85 EUR). 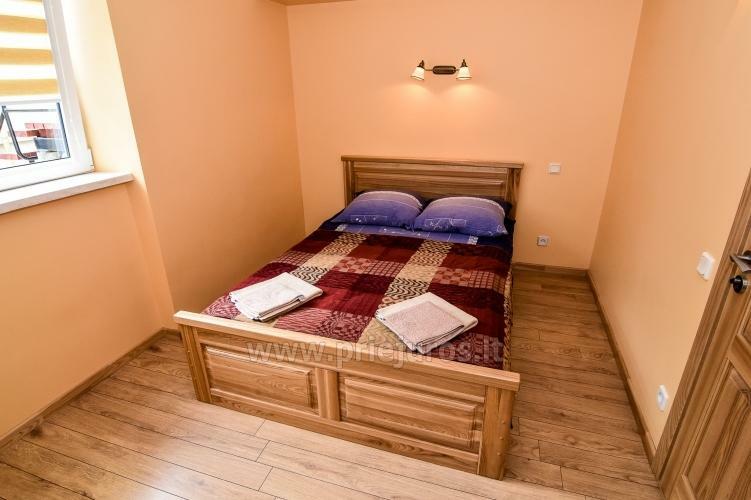 On the second floor: 1 luxury apartment (35-60 EUR). 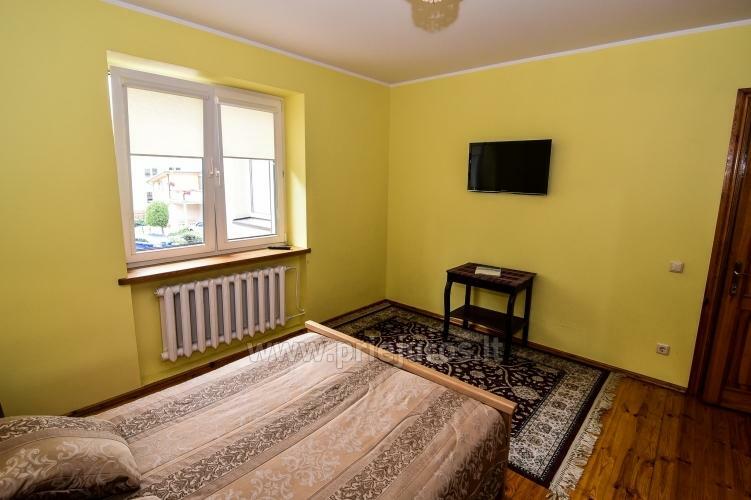 1 double room (25-40 EUR) - shared toilet, bathroom and kitchen. 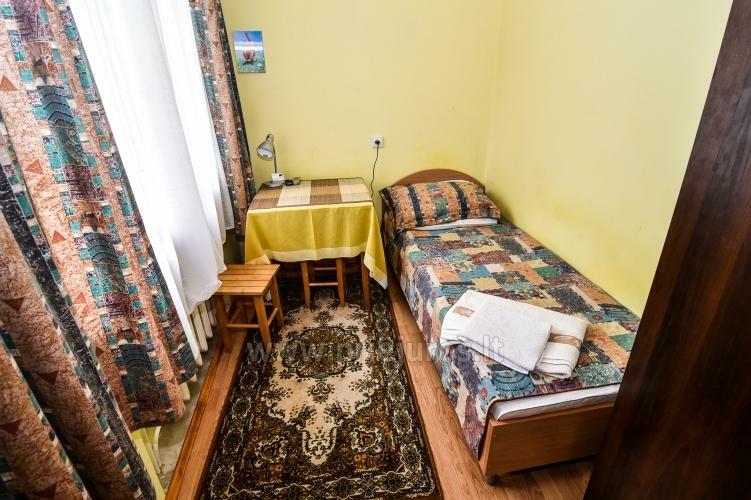 1 single room (15-20 EUR) - shared toilet, bathroom and kitchen. 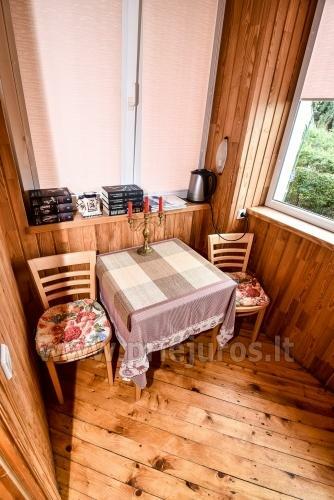 On the first floor: 1 two rooms apartment (35-85 EUR) with separate kitchen, toilet, shower. 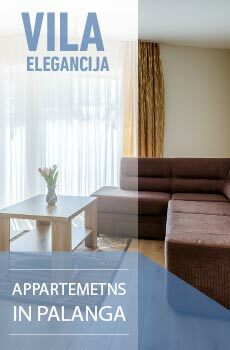 On the second floor: 2 1 bedroom apartments (30-55 EUR). 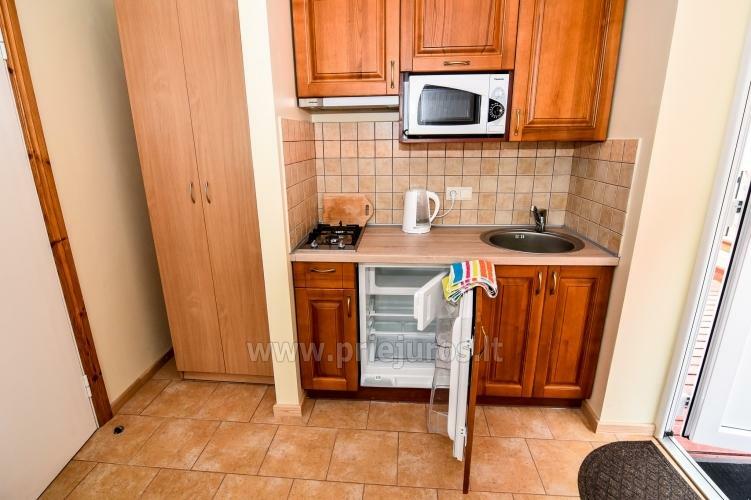 Separate entrance, kitchenette, WC, shower, double bed. 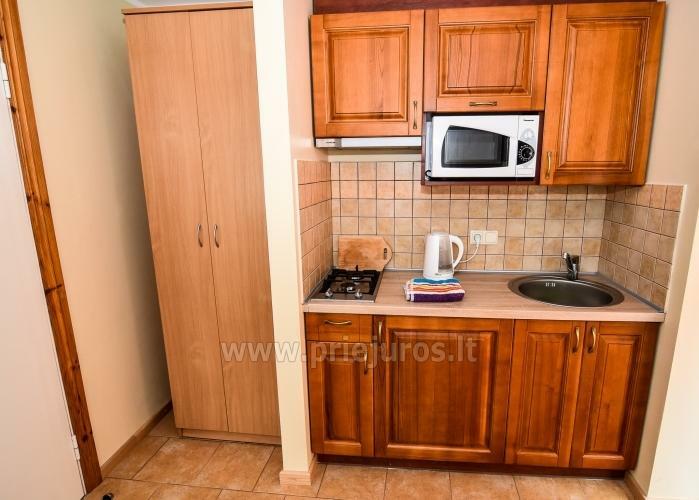 Separate entrance, WC, shower, double bed, kitchenette. 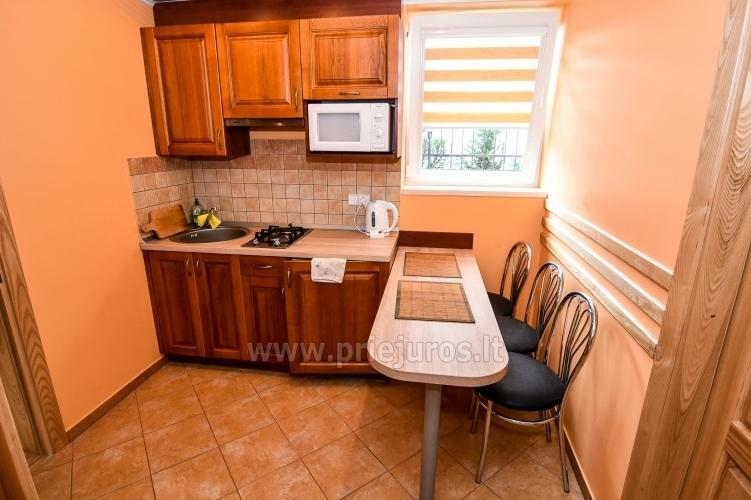 Apartment with two bedrooms (60-110 EUR). 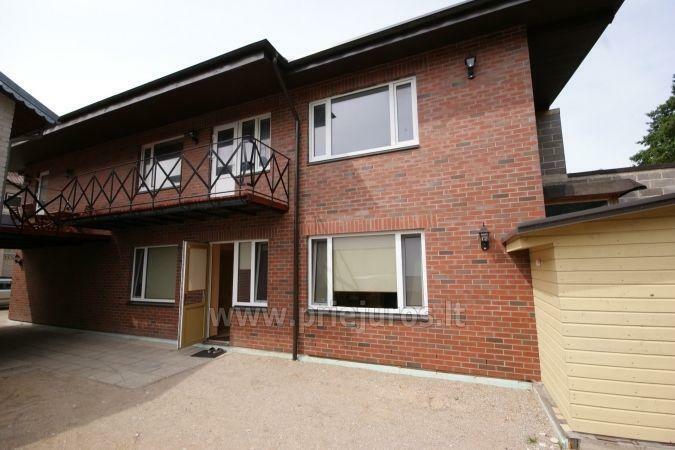 One bedroom (WC, shower, double bed, TV). Other bedroom (WC, shower, double bed, TV). Kitchen (with all household equipment). Double (30-55 EUR). WC, shower, double bed, TV. 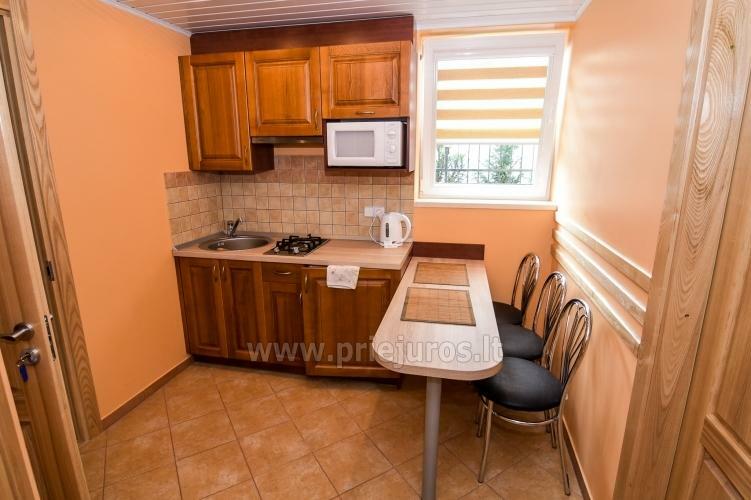 Kitchen for 2 double rooms. 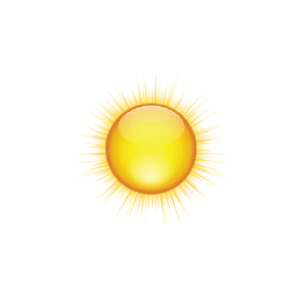 Check in from 2 PM, check out - till 12 PM.